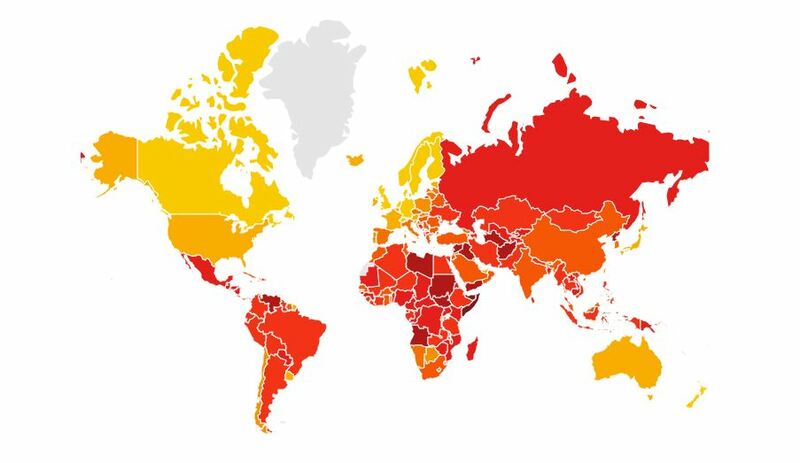 Bangladesh has gone down six notches in the Transparency International’s global Corruption Perceptions Index 2018. The country’s latest position is 13th from the bottom – down from 17th in 2017. In South Asia, Bangladesh ranked the second lowest, only ahead of war-torn Afghanistan. The Berlin-based graft watchdog listed a host of reasons for the slide to 149th position out of 180 countries surveyed last year from 143rd the previous year. The causes include: no practical commitment to curb corruption; little or no steps to stop high-profile corruption; uncontrolled scams and corruption in banking and financial sector; and the Anti-Corruption Commission’s failure to act effectively. (The Daily Star -30 January 2019). Although the government, the ruling allies as well as the Anti-Corruption Commission of Bangladesh disputed the TI report to hide their ugly faces and to avoid the responsibility for the disgraceful situation they created over the years, and no doubt, corruption still remains one of the major problems of our country. It has been more than four decades of capitalist system and 20 years of the so-called democratic ruling and the country is submerged in corruption; in fact, the situation is getting worse from bad. No sensible person can now deny the fact that the corruption is an inbuilt feature of the capitalist-democratic system. In the ‘causes and way out’ section of the report it is clearly mentioned that in the current ruling system there is conflict of interest as political and governmental positions are perceived as means of making wealth. On the other hand, in the Islamic ruling system these are seen as obligations (fard) and a means to attain the pleasure of Allah (swt). Many democratic leaders sometimes argue that it is not democracy, but rather the lack of democracy is the main cause of corruption. We would like to refer to them the ‘global picture’ section of the report where it is mentioned that “corruption remains major challenge for every country – with many democratic institutions under threat across the globe – often by leaders with authoritarian or populist tendencies.” We would also like to draw their attention to the statement made by Patricia Moreira, Managing Director of the Transparency International, who said, “Corruption chips away at democracy to produce a vicious cycle, where corruption undermines democratic institutions and, in turn, weak institutions are less able to control corruption.” So, by a Western organization like TI and by their own standard, the democratic system is blamed for endemic corruptions worldwide. Unfortunately, some of our politicians and ruling elites are still hypnotized by these rotten ideologies like capitalism and democracy.